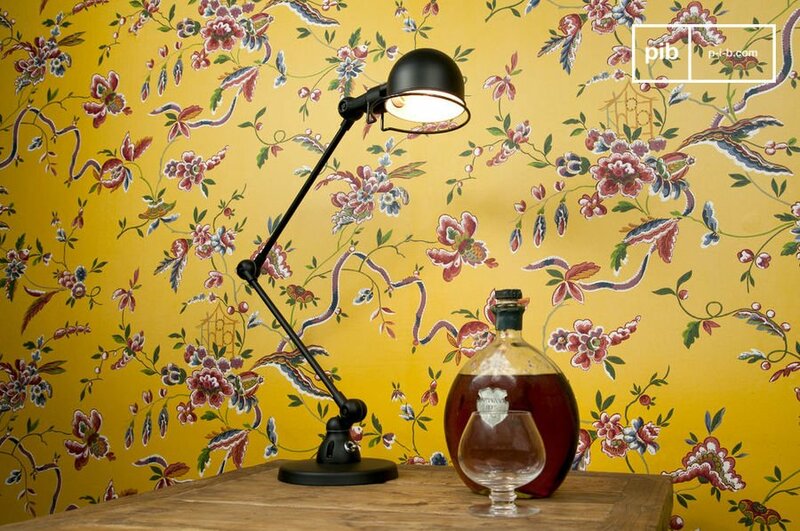 La lampe design dans le temps. The vintage lighting appeared in the many households from the 1950s, period of the glorious thirties, symbol of full-employment, great growth, and therefore an increase of consumption. The vintage lighting will easily find its place in the average consumption basket of the 1960s. The industrial lighting gives a definit karma to your interior. It will easily dress your walls with the workshop style of the aftermath style and will enlighten your household during the darkest days of Winter. 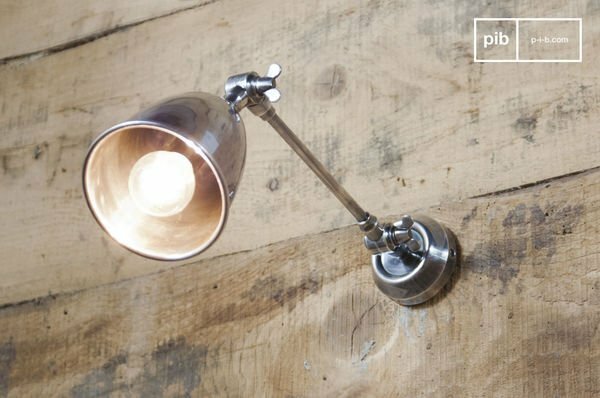 The vintage lighting is nowadays available for everyone and any style. It keeps its practical and useful side, that is, an important brightness, a gain of space, and better visibility. 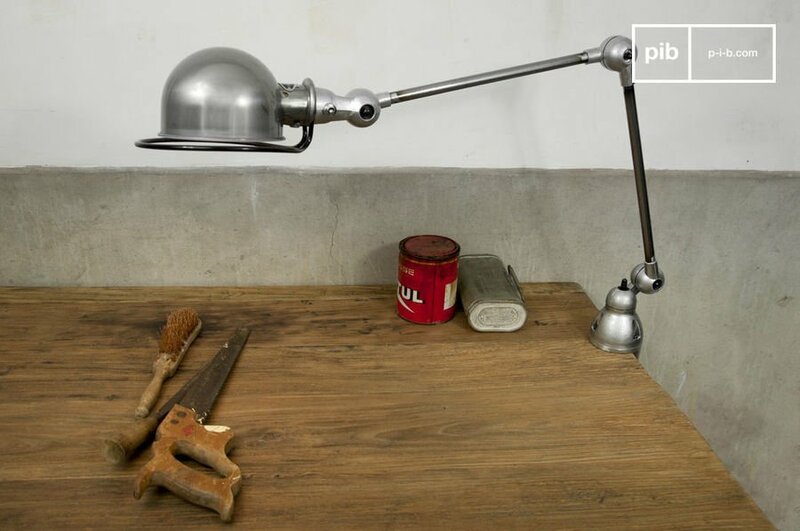 The manufacturor Jieldé sold its first vintage lamp during the 1950s. You will find below the two examples of their famous creations, the vintage lighting SIGNAL and the vintage lamp LOFT. The Jieldé Signal vintage lighting distinguishes itsself by its two arms that allow a maximal usage of the brightness issued in order to perform a precise work or to live effectively a newspaper. The Signal lighting is a version, all in finesse of the desk vintage lighting. Available in many colors, these lamps are handmade and available on demande. This gives a unique touch to each lamp which will find its place in any interior. Jieldé Loft light with clamp has a different kind of characteristics. 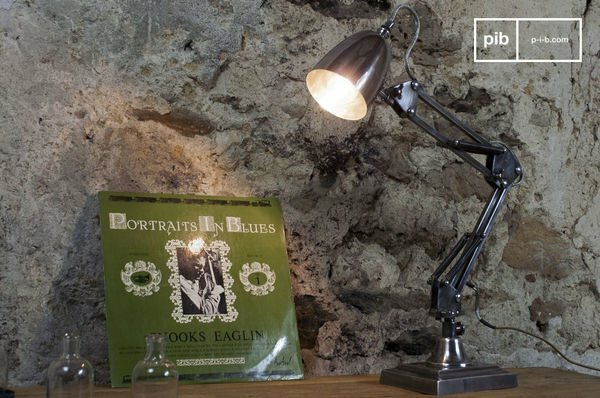 This vintage lighting will find its place, as well as on a architect table that on a working shop table, and will offer a great and precise brightness to its owner.